Please accept our invitation to walk around the places that are connected with the lives of outstanding people. You can see the places that are witnesses of people whose lives become a part of the Czech and World cultural heritage and memory. Almost everything in historical Prague is within easy walking distance. So let´s explore the city and try to capture the spirit of historic events and great minds! If you visit the Prague Information Desk in the Congress Venue, we will be pleased to help you to plan your city walk. Those who prefer to be accompanied by the guide are, of course, also welcome to the Prague Information Desk. Take the opportunity to see one of the places in Prague where the genius composer stayed. For more information please go to www.bertramka.eu. The exhibition takes you into the world of Franz Kafka (1883 - 1924), one of the greatest figures of 20th century world literature. Jan Evangelista Purkyně, an eminent Czech physiologist, anatomist and biologist, was born in Libochovice in the Litoměřice region as the oldest of the three sons of a local clerk. At the age of seventeen, having graduated from a grammar school, Purkyně joined the Piarist Order. Thanks to this decision, he was able to become a teacher and devote himself to scientific research. In 1807 he left the order and began to study philosophy and medicine at Prague University where he also received a degree in medicine. Subsequently Purkyně pursued a career as a lecturer at the Wroclaw (Breslau) and Prague Universities. From 1853 onwards, he published a journal entitled Živa. One of the founders of experimental physiology and psychology, Purkyně put together a theory on cells in 1837. In the 1840s, he assembled an instrument called a kinesiskop, which made it possible to demonstrate the simple movement of painted pictures. He also used to demonstrate "a pulsating heart" and "blood circulation" to other scholars and undergraduates. In 1869 Purkyně was raised to the rank of nobility. A number of inventions and terms were named after this prominent scholar. He lived at Spalena street 16 where his memorial tablet can be found. If you will be at Spalena street do not miss the statue of J.E. Purkyně at Karlovo namesti. Just take a walk to the park at Karlovo namesti where the statue is situated. It takes about 5 minutes. In April 1911 Einstein was appointed as a full professor of theoretical physics at the German part of Prague's Charles University. Einstein moved from Zurich to Prague together with his first wife, Mileva, and their two young sons, Hans Albert and Eduard. The Einsteins lived in quarter Smichov which was not considered the smartest part of the city, but their flat (now in Lesnicka Street No. 7) was modern (in contrast with Zurich there was already electricity installed) and Einstein liked to recall his walks to the Physical Institute in Vinicna Street over the Vltava river. Also, in Einstein's words, the Institute was "excellent with a beautiful library". 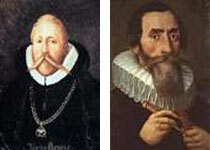 Although Eisntein did not establish a very close rapport with Prague, he admired the romantic historical city. He associated himself with a group of Jewish intellectuals who gathered in the evenings at Berta Fanta's home where philospohy was discussed and music played. 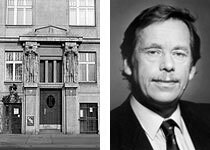 Here he met Hugo Bergmann, Max Brod and Franz Kafka. While in Prague, Einstein was invited to the first legendary Solvay congress where he met Planck, Lorentz, Madame Curie, Poincaré, most of them for the first time. Scientists also came to Prague to visit Einstein. One of the most important was Paul Ehrenfest. worked in Prague under the Emperor Rudolf II. Do not forget to visit Prague Castle and learn more about extraordinary court of Emperor Rudolf II. Tycho de Brahe is buried in the Church of Our Lady of Týn in Old Town Square. He is widely known for his Golem, a made creature - homunculus, whom he created using mystical powers to defend the Jews of the Prague´s ghetto. By the way, the story of Mary Shelly´s Frankenstein is thought to have originated in the prague´s Golem legend. Visit The Rabbi's grave in Prague's Jewish cemetery. The atmosphere of his books can remind you the well-known Golden Tiger pub in the center of Prague. The world´s first Mucha Museum, dedicated to the life and work, is housed in the Baroque Kaunický Palace in the very heart of Prague. 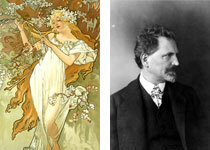 Alfons Mucha lived at Thunovská Street 25. Antonín Dvořák belongs among exceptional personalities of Czech and international music. Already during his life he enjoyed a great international acclaim, which enhanced considerably the prestige of Czech culture and the Czech nation. Visit the Dvořák Museum which is housed in an elegant early eighteenth-century baroque French-style summerhouse called Vila Amerika (build in 1720). A Czech photographer, best known for his haunting night-scapes of Prague. Set out to see a replica of the original atelier in the garden. An important Art Nouveau and Symbolistic artist, mystic, sculptor, architect, author of applied art, graphic designer, illustrator and religious thinker. František Bílek´s studio in Villa Bílek is open for visitors! The first and to date the only Czech winner of the Nobel prize for literature (1984). Jaroslav Seifert was born and spend most of his life in Žižkov, historically a working-class district. Today, due to its specific atmosphere, Žižkov became the part of Prague, with many artists living or performing there. Žižkov is said to have the highest number of pubs in Prague. You can find Seifert´s Birth House at Borivojova Street. A memorial tablet commemorating the famous poet was erected here. Just a few steps from Prague Castle, majestic Černín Palace, the seat of Foreign Ministry, impose its heavy classic style presence. Father of Madeleine Albright used the work there. Born in Prague 1937 she moved with the family to the United States in 1948. She became the first female United States Secretary of State. Do not miss to have a look at the secession house built in 1904 owned by Czech playwright and former president Vaclav Havel. 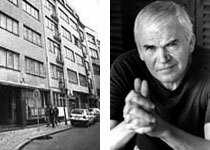 The great Czech writer has been living in France since the 1975, and now writes in French. He lived at Bartolomějská street 304/1 before his emmigration to France. German Poet born in Prague, one of Kafka´s friends lived at Vodickova 736/15b. A First Nobel Peace Prize winner (1905). She was born at the Kinsky Palace and lived at Vodičkova 697. Czech-born Jewish poet, playwright and novelist. 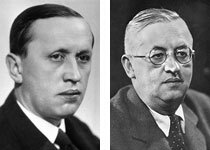 He was a contemporary and colleague of Franz Kafka, Max Brod, Martin Buber, and other Jewish intellectuals who flourished in the first decades of the 20th century. He lived with his parents and two sisters at Opletalova 41. A founder of the Czech polarographic school, Nobel Prize winner for Chemistry (1959). You can find Heyrovsky´s Birth House at Kaprova Street 21. A memorial tablet commemorating the famous scientist was erected here. Čapek`s utopian drama R.U.R, in which the word "robot" appeared for the first time, made the writer famous throughout the world. Some of his admirers have said that the main reason he never got a Nobel Prize for Literature is that the Swedes thought it would offend Hitler too much to give it to such a well-known anti-fascist. carved monument there is one name made of holes. Karel and Josef with their families lived at the double-villa at Bratří Čapků Street 28-30. Miloš Forman recorded his first Oscar success with the film One Flew Over the Cuckoo’s Nest based on the book by Ken Kesey starring Jack Nicholson in the lead role. He won a second Oscar for the film Amadeus, of which shot a large part in Prague.